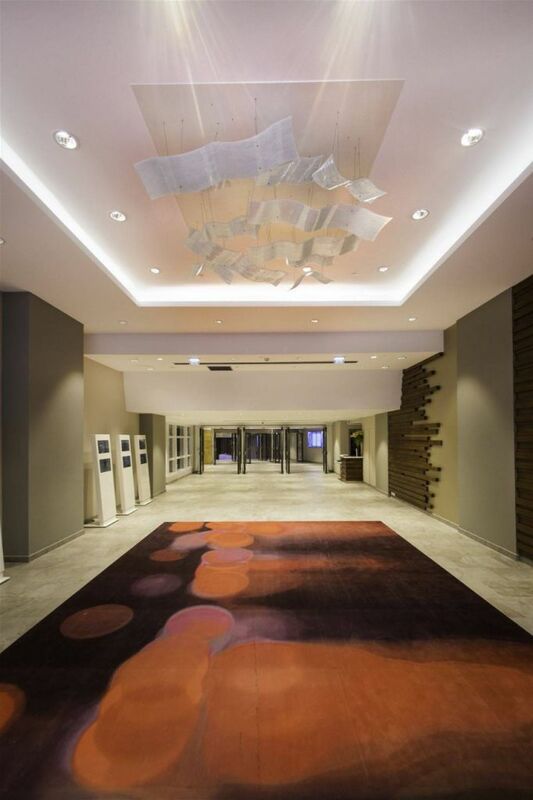 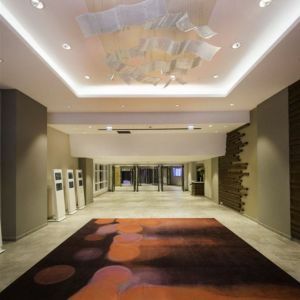 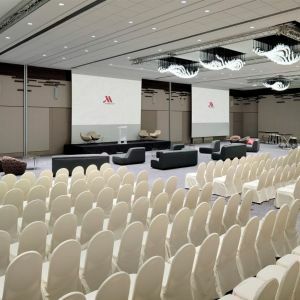 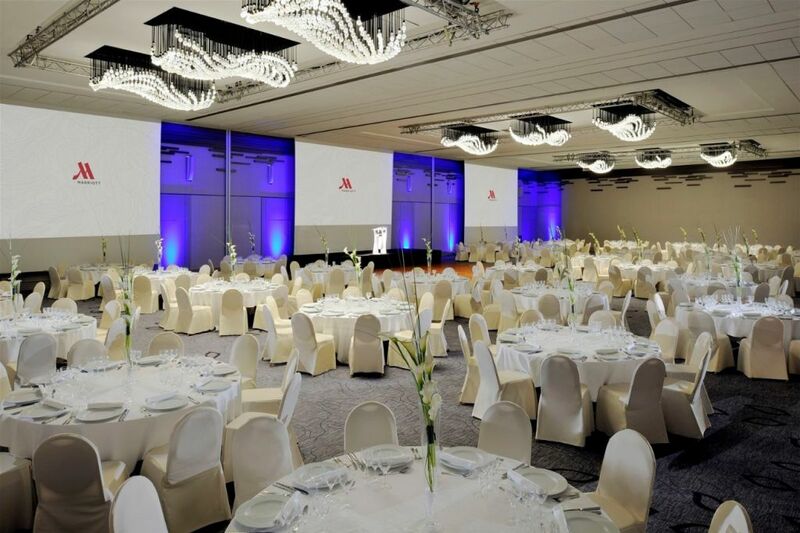 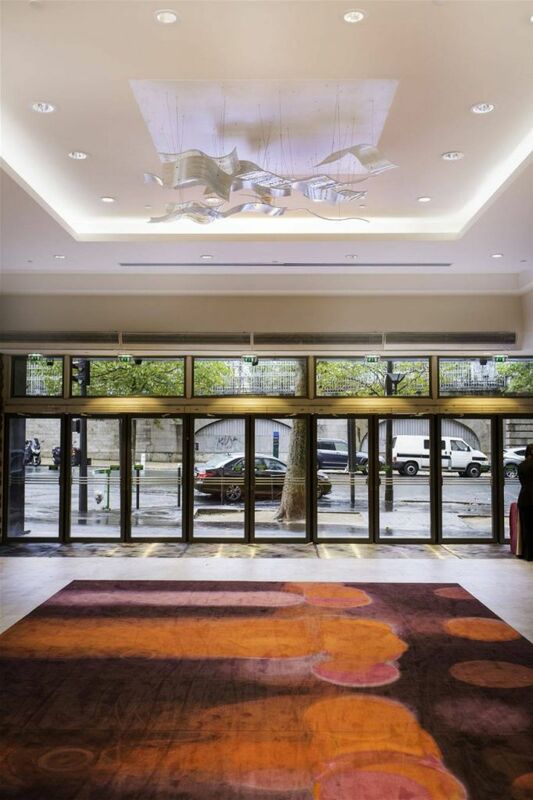 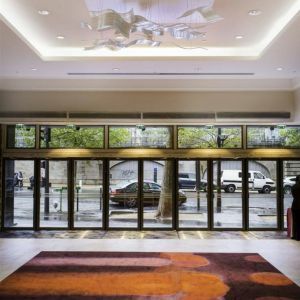 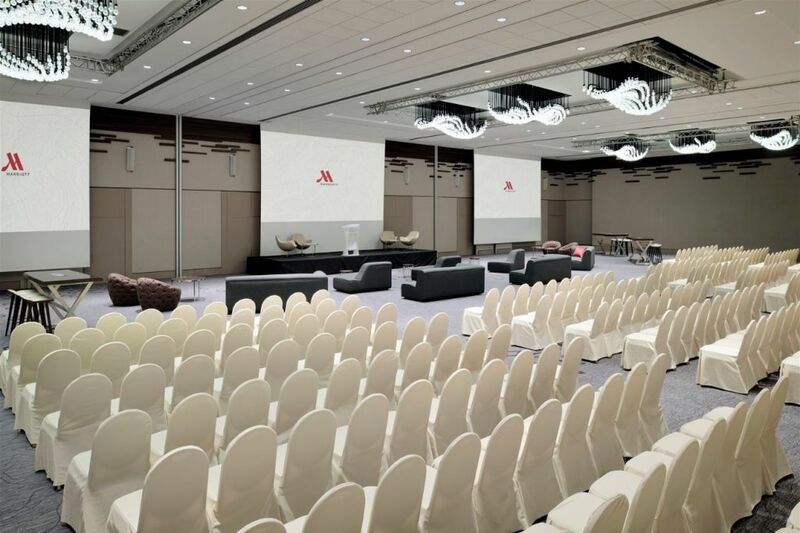 The four-star Paris Marriott Rive Gauche Hotel & Conference Centre is conveniently located by the Latin Quarter and Saint-Germain-des-Pres. 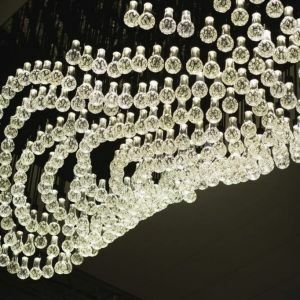 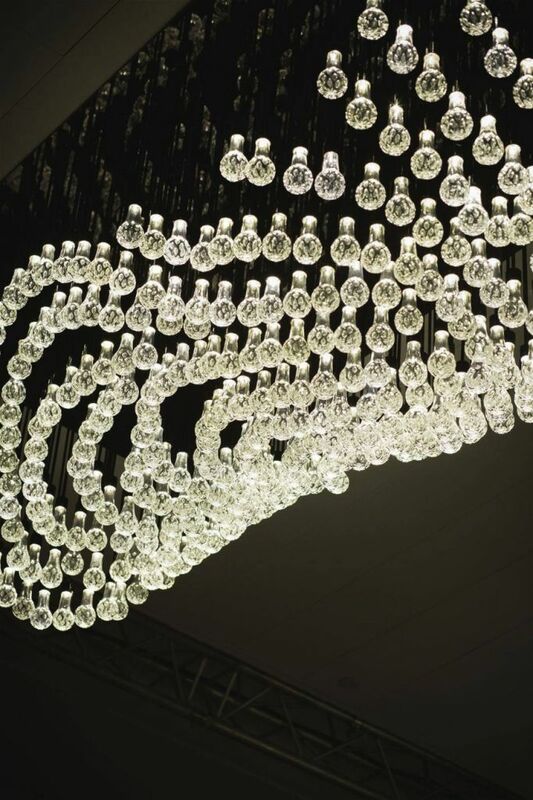 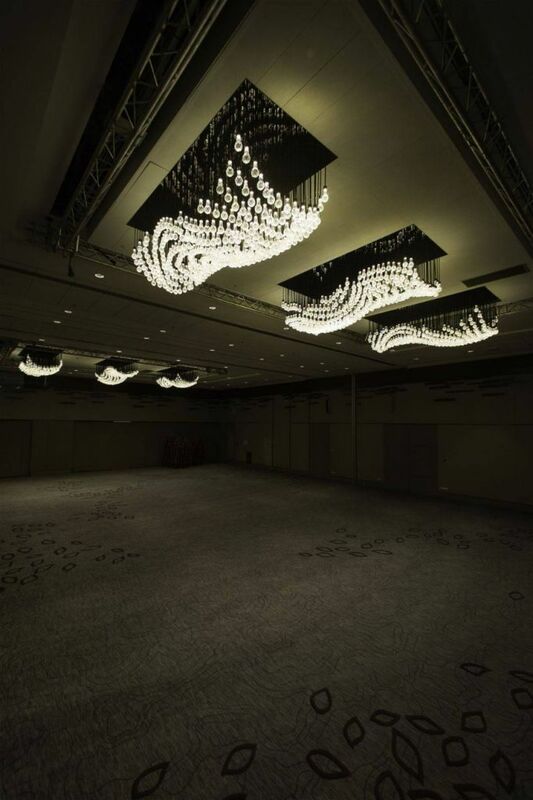 PRECIOSA Lighting cooperated with New York and Paris - based interior designers Virserius Studio and with Benjamin West, US in the development of the nine cloud-shaped ballroom fixtures of hand blown crystal with cut glass décor and LED light sources. 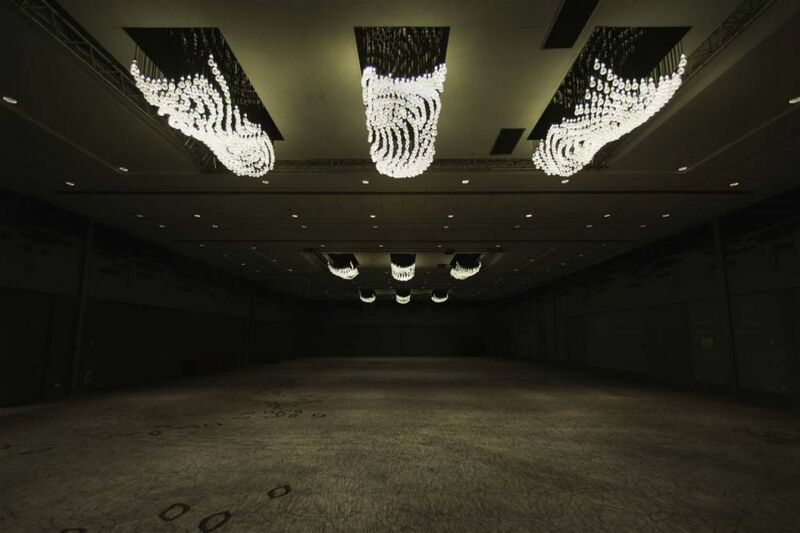 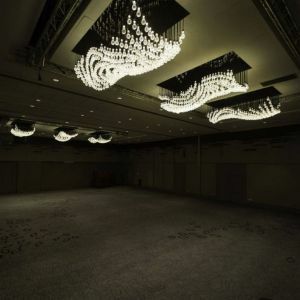 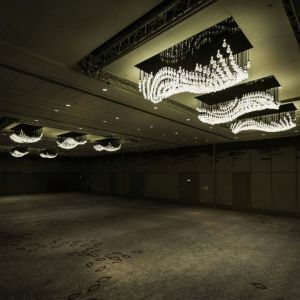 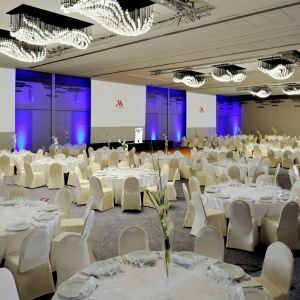 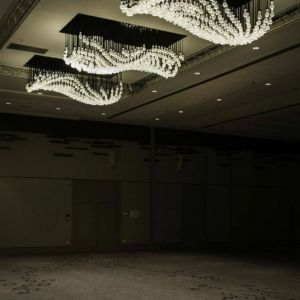 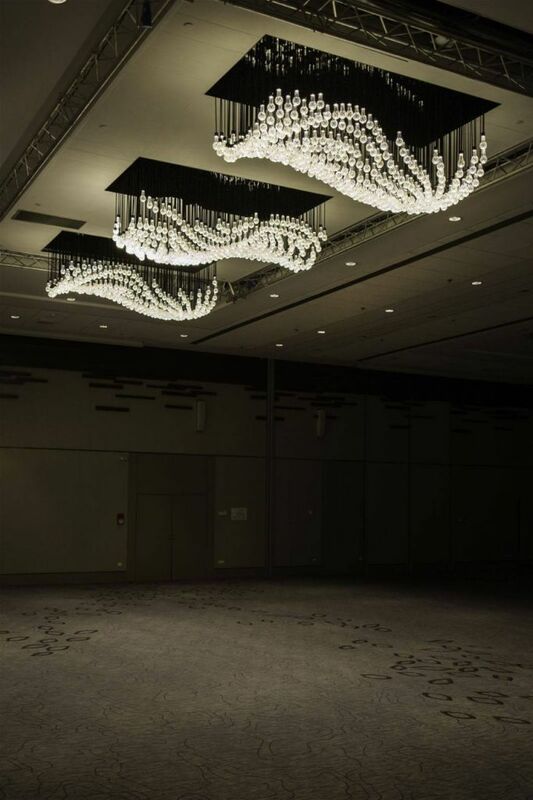 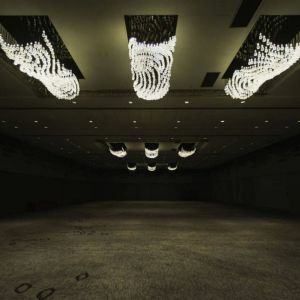 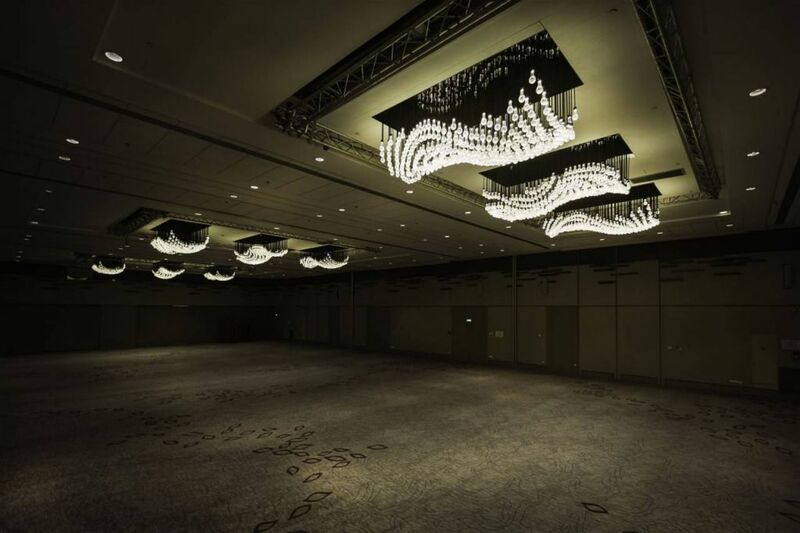 The ballroom pre-function space is lighted with opal-colored wavy lighting fixtures fabricated from slumped glass.